Six years is a long time, and with one page of comic script from our various writers, it makes for a lot of words. I thought about trying to count them all up, but in considering the best approaches for such a course of action, I deemed it enough to recognize the total as a lot. 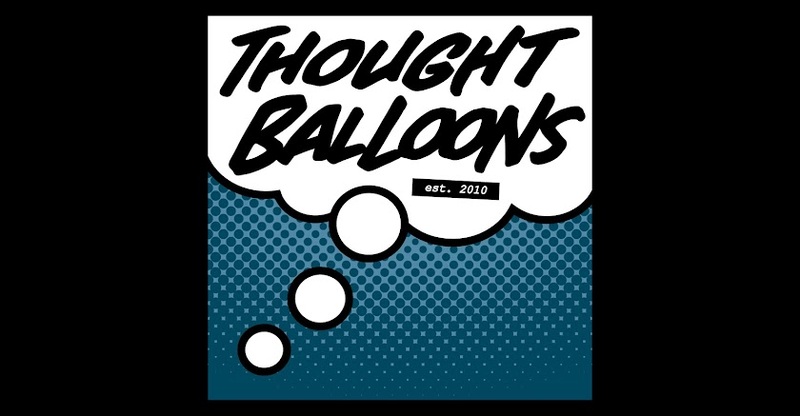 Because while the sheer volume of work we've produced here is something worth celebrating, I think it's worth remembering that Thought Balloons is more than the sum of its parts. We have a dedicate group of tenures throwing down quality scripts week in and week out. We have some absolutely amazing alumni doing all kinds of exciting things, both in comics and without. And a combination of both groups are working on a pretty exciting project that we can't wait to tell you all about once it's a little further along. It's all come from this little website. Ryan's hope to have a place to script and level-up has continued to grow and blossom, chugging away six years after the fact. I've said it before, but I'll say it again: I love Thought Balloons. This place means the world to me, and with the amount of time I've spent writing, commenting, and thinking about it, I hope you'll understand when I say that this place is a digital home for me. Like any good home, it's a place to learn and to grow. Everyone's welcome, and it'll take you places and show you things you'd never expect. And when you're really lucky (and I think we have been), you'll meet some of the most excellent people around. So to help celebrate our sixth anniversary, we're going to be writing about Home and what that means to each and every one of us. It might be where we were born, where we live, where our hearts are, or any other interpretation that may tickle our fancy. As always, we'd love to see your take in the comments below. Like any good home, there's always room for more here, you know?